In 1994, the Ariel School in Ruwa was the site of an alleged sighting of a landed UFO. One of the most outstanding UFO experiences involving a group of children took place on September 16, 1994. 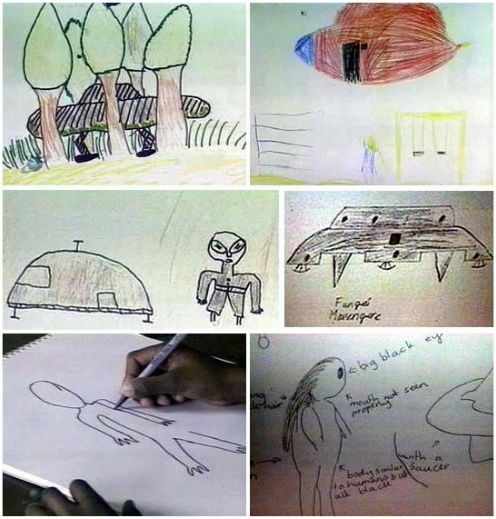 Approximately 60 children between 5 and 12 years old were playing outside their school on the outskirts of the capital of Zimbabwe when they saw a large spaceship and several smaller craft gliding over the scrubland. A new film based on this event is coming soon. This is the Remote Viewing data and project details tasked to a small exploratory group of active Remote Viewers looking at mysteries projects. 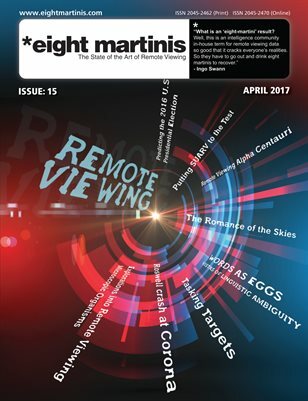 The report details the project tasking, an analysis of the remote viewing data and in the back there are all the viewers sessions in Full. Describe clearly and accurately what the children of Ariel School near Ruwa, Zimbabwe witnessed at the school yard during recess on the morning of 16th September 1994.